While no plant is completely deer resistant there are several species that you can choose from that are attractive in the garden and are less desired by our four legged friends. While some plants such as hosta, arborvitae and yew are referred to as "deer candy" other selections are often avoided due to their taste, texture or aroma. 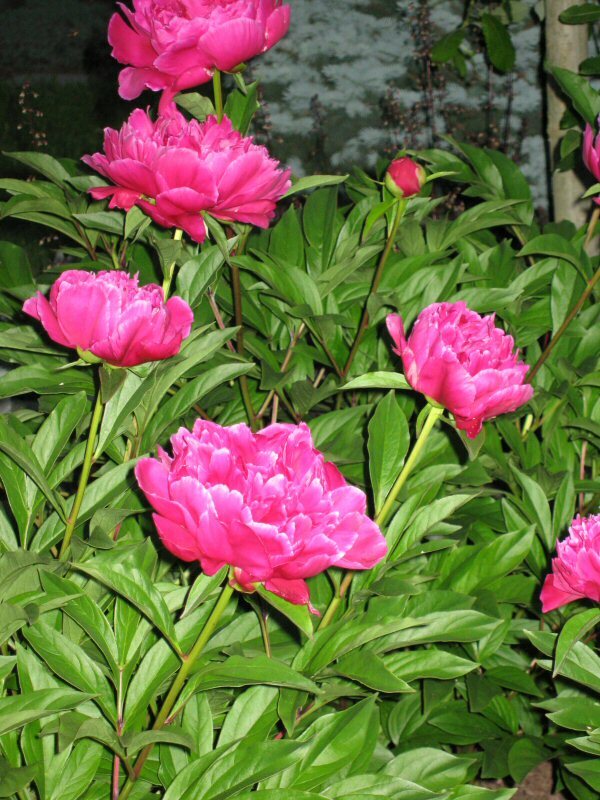 The selections that I will mention are plants that provide color and interest all season long in the garden and are hardy in USDA zone 7. Many of these plants are also drought tolerant. The first two "deer resistant' plants I would like to mention are Spirea and Barberry. 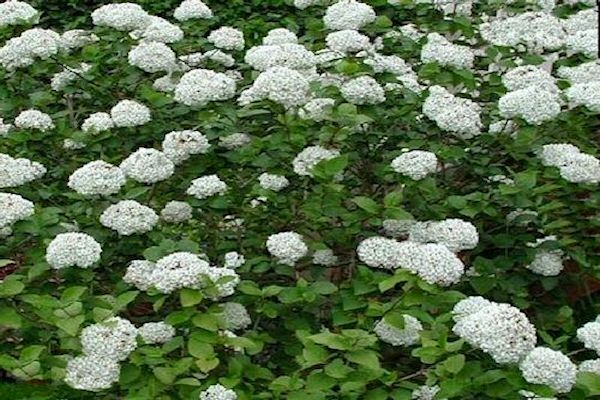 These deciduous shrubs are both very popular for their colorful foliage, and in the case of Spirea, for its summer blooms. Barberry and Spirea are frequently used in foundation plantings, raised island beds, rock gardens and border gardens. Each cultivar comes in a variety of sizes including Barberry 'Royal Burgundy' (smaller 2-3'), Barberry 'Rosy Glow' (larger 5-6'), Spirea 'Gold Flame' (2-3'), Spirea 'Limemound'(2-3'), and Spirea 'Little Princess' (1-2') among others. 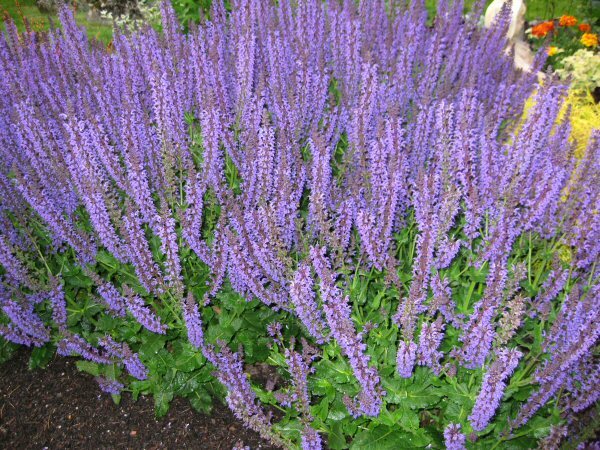 These plants are also drought tolerant once established. On the "deer resistant" perennials list is coreopsis. Coreopsis or 'Tick seed' displays beautiful daisy-like flowers throughout the entire summer and is drought tolerant once established. It is hardy in USDA zones 4-8. 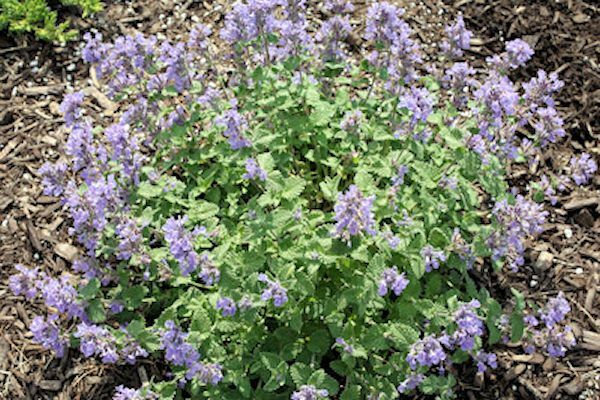 Nepeta 'Walkers Low' is another favorite long blooming perennial that deer do not forage on. It comes in a variety of different heights ranging from 'Mussinii' which is taller to 'Little Titch' which is a dwarf form. If you have a shaded area with deer try Astilbe. Astilbe is a popular perennial that comes in a variety of sizes and colors and thrives in low light. 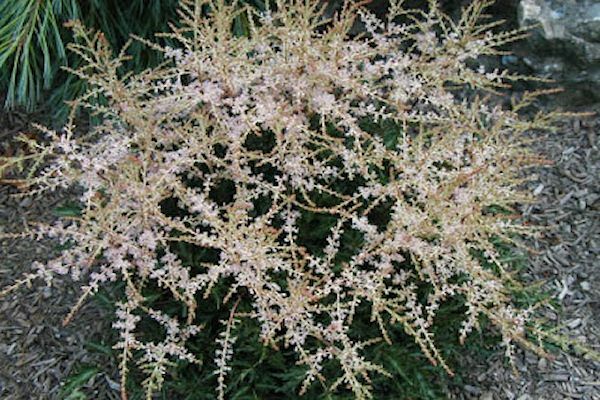 There are many varieties of Astilbe ranging from white to pink to red and salmon. The one shown here is Astilbe 'Sprite' which is hardy in USDA zones 4-8. ﻿If you enjoy having ornamental grasses in your garden they are also "deer resistant". There are many varieties of grasses to choose from including the well-known Fountain Grasses Pennisetum Alopecuroides 'Hameln' or 'Little Bunny' as well as the Maiden Grasses Miscanthus Sinensis 'Gracillimus' or 'Morning Light' among others. Crape Myrtle, a favorite tree in the landscape also happens to be on the deer do not eat list. Crape Myrtle once more popular in the Carolina's is now also popular in the northeast and is hardy in USDA zones 7-9. Crape Myrtle come in a variety of colors and sizes. Shown here is Crape Myrtle 'Sioux'. There are various evergreens that are that can also be grown in the "deer resistant" garden. 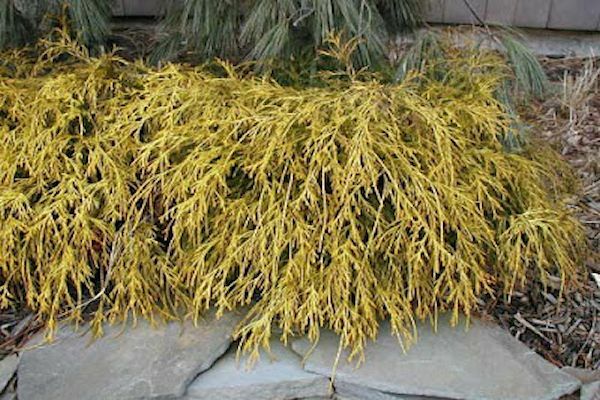 The one shown here is Chamaecyparis obtusa 'Gold Mop'. 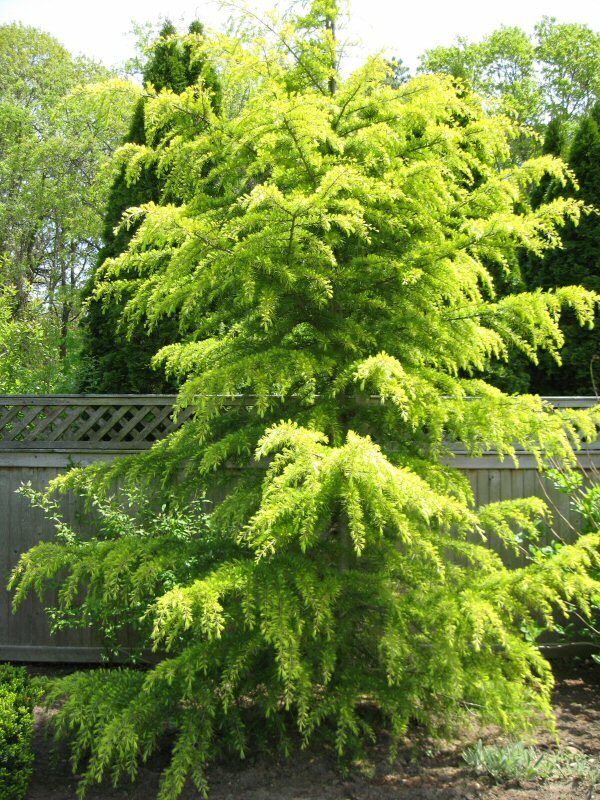 Gold Mop Cypress is a lovely golden evergreen that retains its color all year long, grows 2-3 feet in height and is hardy in zones 4-8. 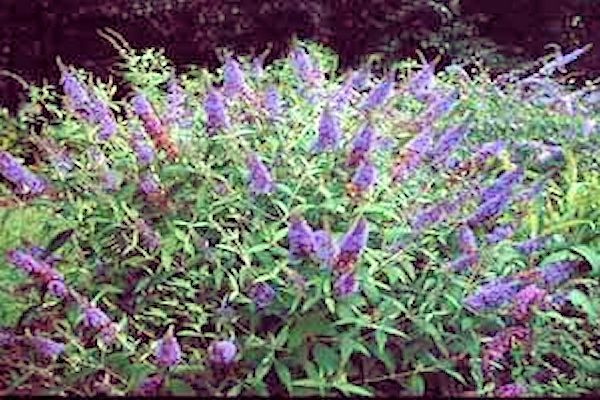 ﻿Deodara Cedar is also unfavored by deer and is a beautiful focal point in the landscape. 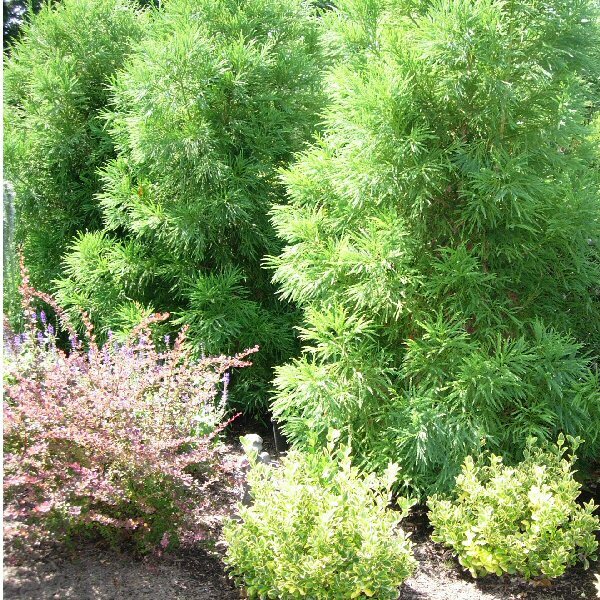 Deodara Cedar is a large pyramidal evergreen with graceful cascading branches and golden needles hardy to USDA zone 6. A beautiful evergreen for a privacy screening is Cryptomeria japonica. Shown here in the backdrop, Cryptomeria japonica 'Yoshino' is known for its soft delicate foliage (not liked by deer) and golden-green coloring. Cryptomeria is hardy to USDA zone 5 and is available in many varieties ranging from dark green to golden. Next on the list are Ilex or the hollies. For the most part deer do not prefer most hollies. I have seen cases where the deer are hungry enough that they will nibble on the new spring growth of the plant but will not touch the more mature inner growth. The more jagged the leaf on the variety of holly you choose the better. ﻿Another lovely plant, Vibernum, displays white flowers in early spring and is a nice addition to the woodland garden. Vibernum are hardy to USDA zones 4-8 and come in a variety of types and sizes. 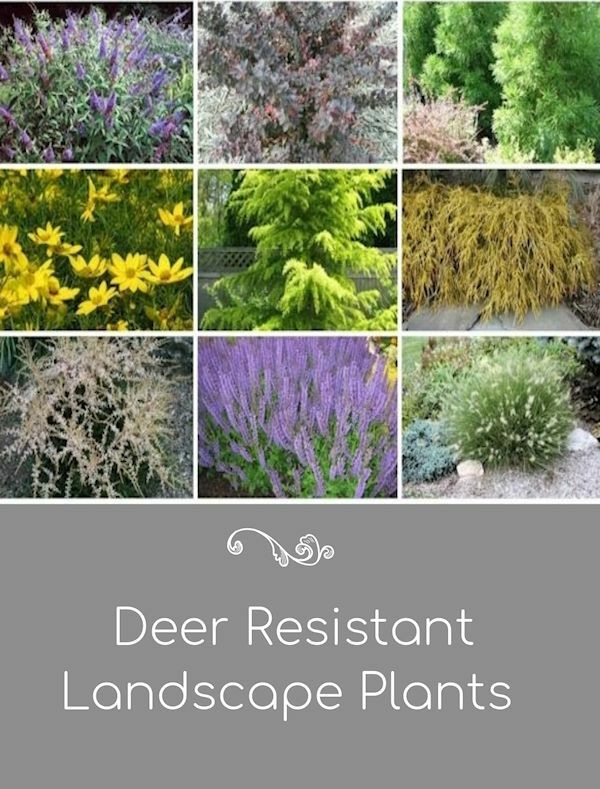 As mentioned in the beginning of this article, no plant is completely "deer resistant". If the deer are hungry enough they will tend to nibble on plants in the landscape, but there are some plants that are much less attractive to deer for various reasons. The species of plants I have mentioned in this article are the plants I have found to be most successful in the garden over the years as a designer. I hope you find this list to be helpful and informative. 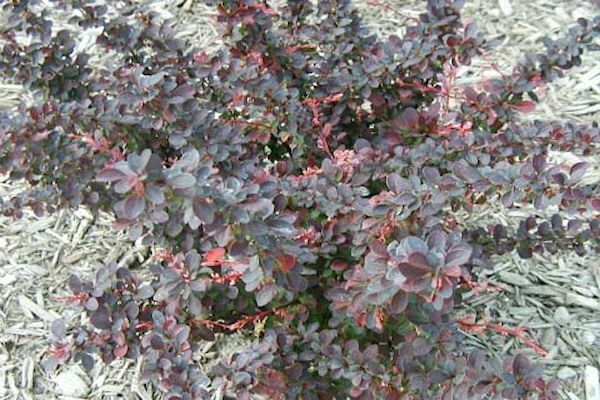 *Update (2015): Barberry has been labeled as invasive in some states. Alternatives for dwarf barberry are Dwarf Weigela 'Spilled Wine', 'Wine and Roses'', 'Midnight Wine' or 'Fine Wine'. Alternatives for regular sized Barberry are Eastern Ninebark 'Summer Wine' or Purple Smoke Bush. Author: Lee@A Guide to Northeastern Gardening,© Copyright 2011, All rights reserved. Thank you for an accurate list and from experience! It's good to hear about plants that have been tested for real. I will certainly try some of these. Glad you find this useful Evelyne. I get so many clients that are frustrated with deer problems that I even included a chapter on "deer resistant" landscaping in my book. We seem to have a growing population here on the Island. Just an update to this enjoyable site... Barberry is now llegal to sell in NY and Connecticut. Also, Camaecyparis obtusa is deer candy in Westchester and not resistant. Thank you for commenting Peggy. Unfortunately, Barberry has been recently included on the invasive species list. I am surprised about the Chamaecyparis obtusa. The deer avoid it here but as I had mentioned in the post...no plant is 100% deer resistant. It they are hungry enough they will eat anything.